In my very first post, I wrote about the book, Saving Graces, published by W. W. Norton & Company in 1995. 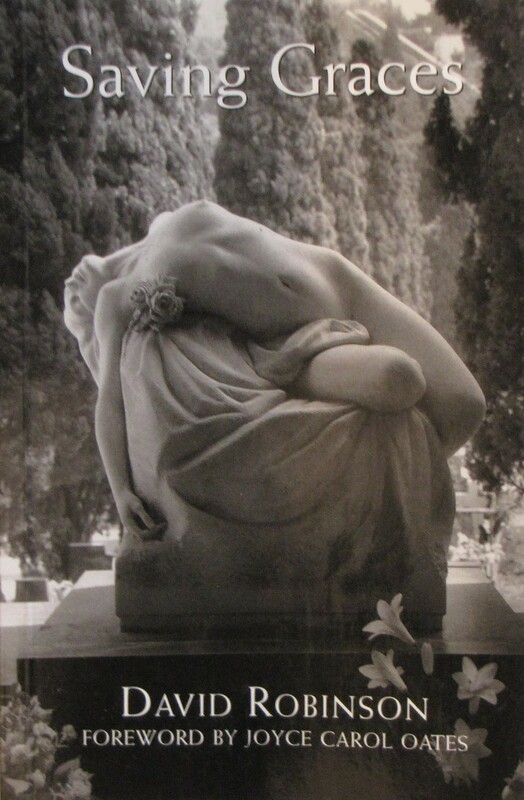 In the book, David Robinson has taken pictures of mourning figures from some of the most beautiful and famous cemeteries in Europe, including Pere Lachaise in Paris and Monumentale in Milan. The photographs in the book show beautiful, young, and voluptuous women often wearing revealing clothing mourning the dead. 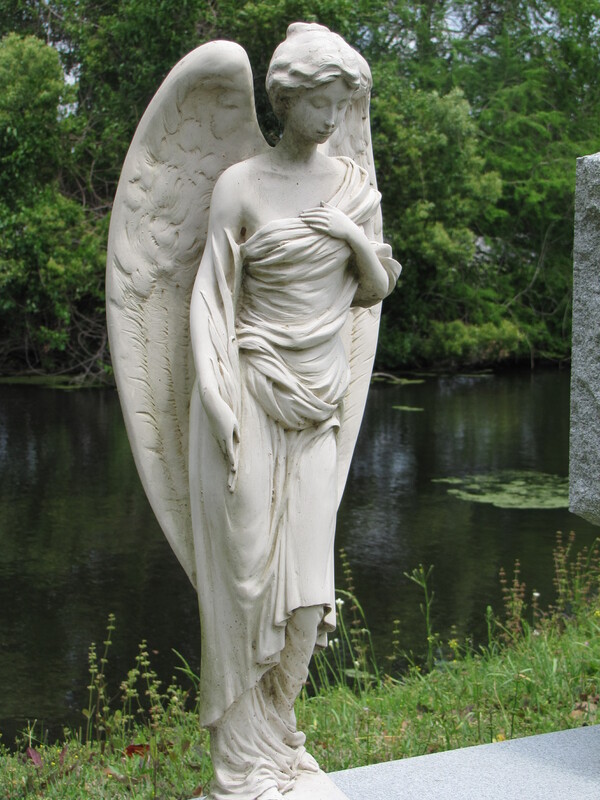 Robinson writes that all of the mourning figures he found were women, not angels, no wings. Robinson writes that women, in fact, carry out the role of grieving and the artists portray this in sculpted marble and cast bronze. 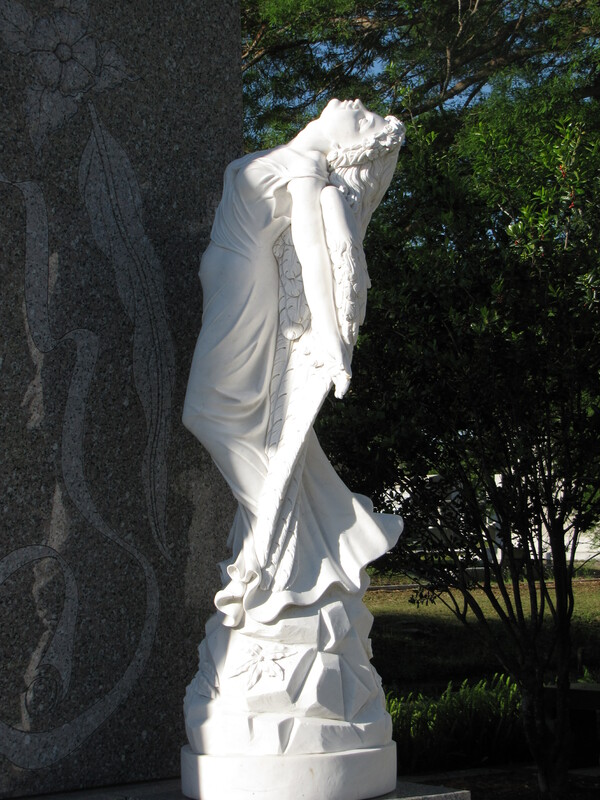 Not only are there examples of these mourning figures in American cemeteries, but there are also examples of these mourning figures depicted as winged angels. As you can see from the photographs, these figures are full bodied, female angels stricken in grief, just as the statues of the women in Robinson’s book. 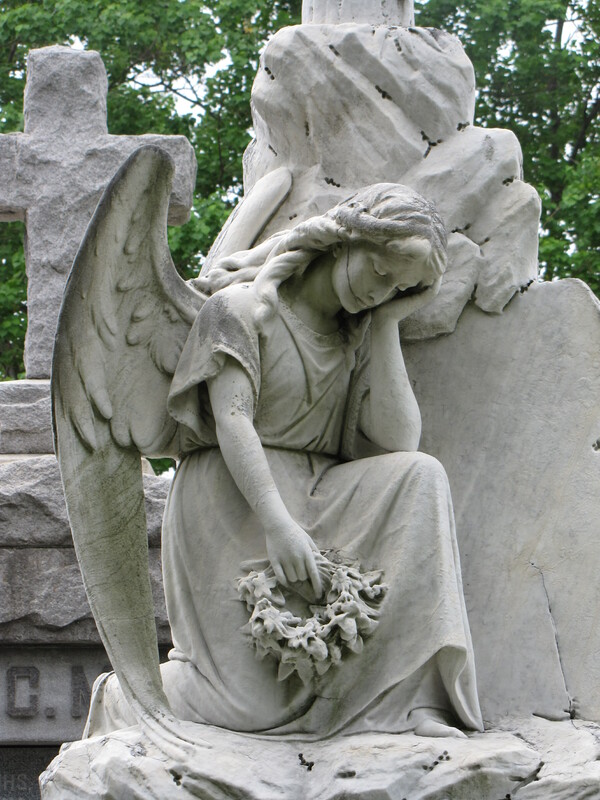 The difference is that these mourning figures are winged angels. 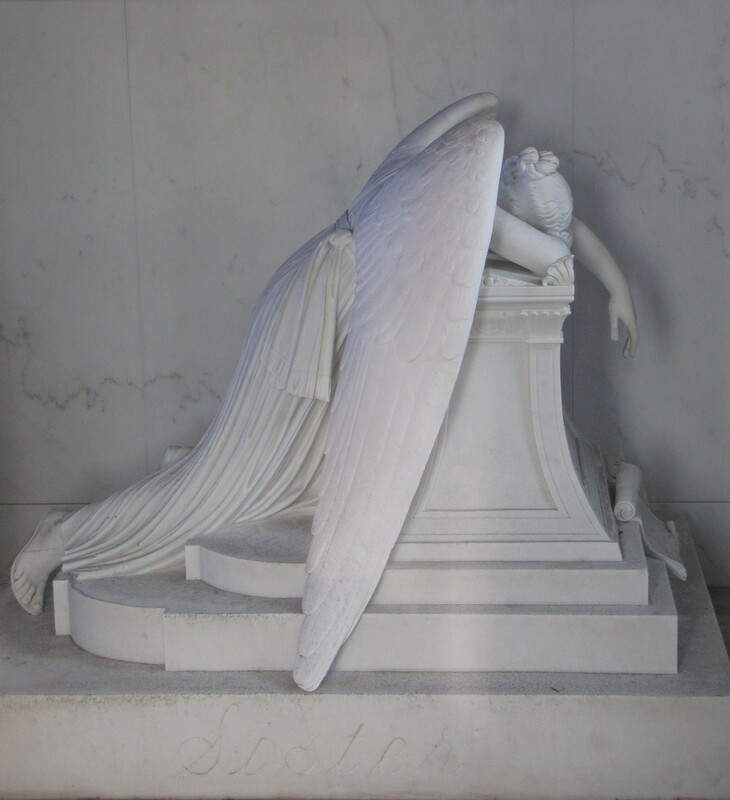 In the sculture above, the elagantly draped angel is distraught with grief and completely overcome, collapsed and limp from sorrow. This voluptuos angel is portrayed with her head facing the Heavens. This angel’s downward-looking head is resting on one hand, while the other holds a floral wreath. The angel looks down with resignation.